Incredible Capital Cities Around the World, Visit a capital city anywhere in the world and you will see the pride and joy of the people that live in that country. The capital city is often designed to showcase culture, art, and architecture to outsiders that plan to visit. Many countries spend a lot of money to ensure that their capital cities showcase the culture of the country and you can usually visit government buildings, learn where the leaders live and learn a lot about the country if you do not have extensive time to tour the whole country. Here are some capital cities located throughout the world that you should not miss. Brasília was inaugurated as the capital of Brazil in 1960. Brasília is a well-designed city and was designed by Oscar Neimeyer. Brasília has modern architecture and there are many stunning designs that you should see like the Cathedral of Brasília, The Juscelino Kubitschek Bridge, and the Palácio do Planalto. 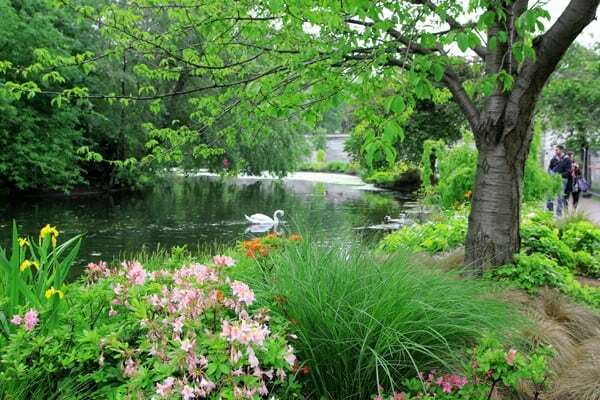 Be sure to take a stroll around the City Park and explore the tranquillity of this urban oasis. Spend some time visiting the artificial Lake Paranoa that was created by damming the Paranoá River. Make sure that you take the time to explore the beauty of Itiquira Falls that are easily accessible by a paved road. Seoul is the capital city of South Korea where modern skyscrapers, pop culture, and high tech subways meet Buddhist temples, street markets and palaces. The Myeong-dong is a bustling shopping neighborhood that has boutique shops, luxurious department stores and dining places which serve Korean as well as international cuisine. When you’re planning your holiday to South Korea, be sure to add seeing a show at Myeongdong Nanta Theatre to your itinerary. You should visit Gyeongbokgung, a historic palace that offers tours and also has a museum. The N Seoul Tower offers panoramic views of the city and has a cable car ride that travels three quarters of the climb up the building. You can continue the rest of the journey up the stairs and enjoy the fabulous cuisine and view from the restaurant on the top floor. You should visit Bukchon Hanok Village, a 14th century restored village with narrow streets lined with traditional homes. The Lotte World adventure park, a great place to relax, has water flumes, marine life and an attraction called the ‘Magic Island’. The Namdaemun Market and Dongdaemun Market are good places to visit for traditional shops and fashion. You should also visit Gwanghwamun Plaza which is a public open space that has a statue of King Sejong who invented the Hangul which is the Korean alphabet. 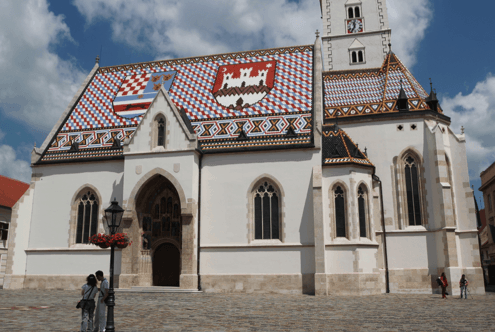 Zagreb is the capital city of Croatia and is known for its 18th and 19th Austrian Hungarian architecture. Explore St. Mark’s Square that is lined with cafes and visit the stunning medieval styled St. Mark’s Church. You should also visit the Museum of Broken Relationships which displays exhibits of devoted love affairs that failed. The Ban Jelačić Square is a great location to go shopping and enjoy the beautiful architecture throughout this square. Be sure to visit the Zagreb Cathedral, a twin towered Gothic styled church that is the tallest building in Zagreb. Visit Dolac Market to learn and enjoy the traditional fresh food that is consumed in Zagreb. The Lotrščak Tower offers panoramic views of the city and has a cannon that is fired daily. If you enjoy the outdoors than you should trek Mount Medvednica which has trails and caves through its lush green forest paths. The peak of Mount Medvednica is called Sljeme and there is a winter sports center that you can access by foot, bus, car or chair lifts. Be sure to visit Jarun, a neighborhood in Zagreb which has the popular Lake Jarun and is a great place for water sports and cycling. Another great place to visit is Zagreb 360° which offers an observation deck, Zagreb Zoo and Tortureum – Museum of Torture. London is the capital of England and this modern city has its roots buried in Roman civilization. The London Eye is a giant observation wheel that offers panoramic bird’s eye view of the city. Big Ben is a 16th century Gothic clock tower and is the nation’s timepiece. On your tour of London you should definitely visit the Tower of London to see the crown jewels showcased in this medieval castle. A trip to Buckingham Palace is a must because it’s the residence of the royalty The Queen of England and the British Royal family. The British Museum showcases Egyptian mummies, Greek sculptures and global antiquities. Take a cruise on the River Thames, the longest river in England, where you can see stunning views of the city. Be sure to stroll around the beautiful Hyde Park which has the Diana Fountain and boating and swimming available in the Serpentine Lake in the park. You should also visit iconic sites like St Paul’s Cathedral, Palace of Westminster and Tower Bridge to admire the spectacular architecture of this city. Moscow is the capital city of Russia and is known for its historic Kremlin, a complex where the president resides that has stunning architecture and houses tsarist treasures in the armory, Russian art and regalia. A few notable places to visit inside the Kremlin are Grand Kremlin Palace, Assumption Cathedral, Ivan the Great Bell Tower, Armory Museum, Diamond Fund and State Kremlin Palace. Be sure to visit the Red Square which has iconic landmarks to enjoy within it such as the 16th century St. Basil’s Cathedral, and Lenin’s mausoleum, a pyramid shaped building that holds Lenin’s sarcophagus. Be sure to enjoy Russian Ballet or Opera at the Bolshoi Theatre that is known for its opulent interior. Sparrow Hills is the highest point in Moscow and it is a great place to take a stroll and see stunning views of the city. You should also visit Ostankino Tower, a 45 story tower which has an open air observation deck on top that is accessible by guided tour only.